The video above is President Obama’s most recent Weekly Addresses, released this past weekend. I was busy with visitors all last week, and missed this video, though I knew about the designation. I think the president does a great job of explaining why Stonewall is important by placing it within the context of other places important in the struggle for justice and freedom. It as important to the struggle for LGBT freedom as any of the other places the president mentioned, and it’s important that generations to come can learn about it and its place in American history. YouTube is a welcoming place for diverse people to express themselves, and provide voices that people may otherwise never hear. This is a good thing in itself, but YouTube has also long been an advocate for LGBTQ people, our human rights, and the importance of us sharing our voice. From commemorating Pride parades to opening up about transitions and explaining the ABCs of LGBT (https://www.youtube.com/watch?v=uFqLr...), YouTube is a place where anyone can belong no matter who they are or who they love. That is why today we want to help people honor and celebrate who they’re #ProudToBe. YouTube encourages people to make and share videos with the #ProudToBe tag in the title so others can find them. I imagine some opponents of diversity and love will make videos specifically to be dicks, just because they can. Rather than exercising their free speech right of dissent, many of them will just be trying to cause trouble. YouTube, like all of the Internet, is plagued with trolls. But YouTube has also been an inclusive place where many diverse voices can be heard, and the bigots can’t drown that out. So, I think this is a good thing, and I hope there’s a huge variety of videos shared. I’m looking forward to seeing what people are #ProudToBe. There have been a lot of responses to the Orlando shootings, some awesome, some, well, they’re the sort I wouldn’t comment on. But these are a few of the many that caught my eye over the past few days. Up first, the video up top, which is President Obama’s latest Weekly Address. I think he struck the right tone, but I especially thought his remarks on how important parents are in fostering equality and tolerance, and giving unconditional love. I thought it was good. Next up, “Dear World, We're Not Afraid”, a video put together by YouTuber Arielle Scarcella, in which she and other YouTubers deliver a simple response together (I subscribe to several of their Channels). These sorts of things can be too serious sometimes—dreary, even—but this one avoids all that, in part by keeping it short. I think it works and is nicely done. Next, one of the explaining videos from Vox, “The Orlando mass shooting is a reminder of why Pride is so important”. These videos try and explains sometimes complicated current events and issues, and to put them into context. I think this video does all that, and reminds us of how much work is left to do. Finally, something very different: “The Orlando massacre terrorist will fail. Here's why” by British journalist Owen Jones. He made headlines when he walked off a SkyNews panel discussion [VIDEO] when the pompous host refused to accept that the attacks were against LGBT people, and not some generic, unspecified, amorphous group called “people”. Were I Owen, I’d probably have done the exact same thing. In the video I’m sharing, he says: “The terrorists who carried out America's worst ever shooting in Orlando will fail just as a neo-Nazi terrorist did 17 years ago in London when he detonated a nail bomb outside the Admiral Duncan pub. The LGBT community will mourn, will cry and will rage but ultimately we will win and the love of LGBT people all over this planet will burn even brighter because of what he did.” Ultimately, he’s right, even if it may not seem like it at the moment. Sadly, the comments on YouTube are filled with endless, vile, spittle-flecked anti-Muslim rage. Sadly, that’s not a surprise. These are a representative sample of what I’ve looked at this week. There were a few more, but I didn’t keep the links, as in those early days after the shooting, I was… distracted. It’s now been one week since the Orlando shootings. The people of Auckland have a favourite indoor sport: Complaining about their local government. Aucklanders aren’t unique in this, of course—residents of many cities are the same. But they have become pretty good at it. Sometimes, though, that negativity can be kind of fun. Among the many things I’ve seen people complain about in a Facebook group for people who live in this area of the city, one of the most enduring has been a roundabout. People hated it being done at all, declaring that there was nothing wrong with the old non-standard (and, so, very unsafe) sort of, kind of roundabout-like thing that had been there. However, there were actually legitimate complaints: Construction took months longer than had been promised, and it was messy, the road uneven, and often pretty unsafe at times, during that lengthy construction. However, once it was completed, it was so much better than the old one was—and yet, people still complain about it. The roundabout is located where three roads converge: Verran Road, Birkdale Road, and Rangatira Road (Google Maps; select Street View to see how it normally looks). The latter is one of two roads into and out of Beach Haven, a suburb that has fairly expensive coastal property maybe a couple streets over from poor people living in state houses and sub-standard private rental accommodation. It’s a study in contrasts. Birkdale Road connects those two roads into/out of Beach Haven, and serves as a pseudo border between Beach Haven and Birkdale, which is somewhat better off than most of Beach Haven—middle class, even if sometimes lower middle class, but even then, with far fewer poor-standard rental houses. I mention all that because this area is a vibrant community, a melting pot of different economic classes, races, and ethnicities, all living fairly peacefully alongside each other, and all sharing an unfocused antipathy to Auckland Council, our local government. The roundabout is just an example of that. In the months since the roundabout has been completed, nothing else has happened. Ordinarily, such roundabouts are planted with low perennial plants to make it look nicer, but nothing has happened in this particular roundabout, and no one—complainers and elected representatives alike—seem to know why. A couple weeks ago, maybe, people started taking matters into their own hands. A couple plastic pink flamingos suddenly appeared. Then, more, along with other garden ornaments—the tackier the better—and then a small recliner with a stuffed pink panther doll with an umbrella. Locals dubbed it “Verran’s Island” and someone set up a Facebook Page for it, which is where the photo above comes from. It’s all kind of funny, and it also calls attention to the fact that nothing has been done to finish the roundabout in the months since the construction ended. If mainstream media pick up the story, something might finally happen. After all, winter is good time to do the planting so the plants can get established before the hot, dry summer. 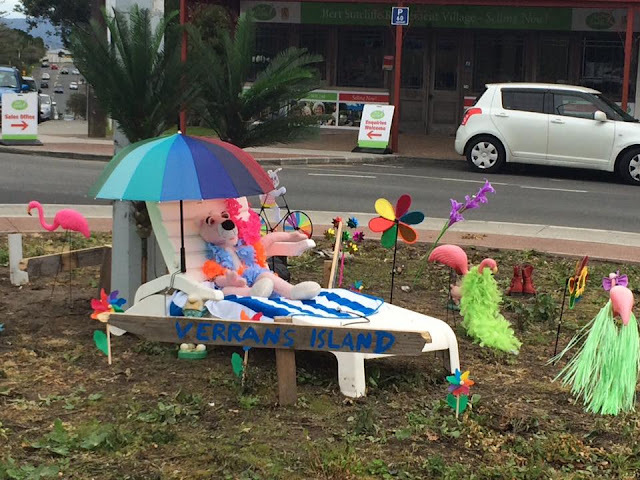 If was to bet, however, it would be that the guerrilla gardening on “Verran’s Island” will be called a traffic hazard and workers will be sent to remove everything, and it’ll remain a barren weed patch. And people will complain. The roundabout is part of the unfocused antipathy to Auckland Council because they almost always blame the wrong target: Auckland Council. Roads and projects like this are done by Auckland Transport (AT), which is what’s called a “Council Controlled Organisation,” mostly independent of Council, basically like a private business that Council entirely owns. AT has demonstrated contempt for popular opinion, and has yet to discover a customer service ethic, so it’s probably the single most complained about agency in all of Auckland—even if people get confused and blame Council instead. While some of the antipathy toward Auckland Council takes on a humorous air, like the “Verran’s Island” installation did, much of it is far angrier and even quite bitter. Next week is the deadline for areas of the city to petition to secede from Auckland Council, and apparently at least two areas plan to do so. They will almost certainly fail, probably deservedly so, but it'll mostly be because the government in Wellington that set up the “super city” still controls government, and they’re unlikely to allow any attempt to undo what they created. One of the reasons that a larger Auckland matters is that it spreads the cost of infrastructure over a far larger number of properties, whereas smaller councils, with fewer ratable (taxable) properties have to charge much more for the same thing. If areas with small populations start peeling off Auckland, those people will face far higher rates (property tax) bills, and if enough do that, it’ll drive up rates in Auckland, too. No one wins. But whether the disgruntled succeed or not, the complaints won’t stop, not even when a new mayor and new council are elected in October. Complaining about their local government is Aucklanders’ favourite indoor sport, after all. Pink flamingos, though, are optional. Footnote: The area the roundabout is located in is called "Verran's Corner" colloquially, however, that name is not an official place name, so there’s no official spelling. There are many people in New Zealand who drop apostrophes, and in this case, spell it "Verrans". Because there’s no such official name, I opt for the grammatically correct apostrophe, and always have. From the “What the…? !” files, it turns out that Earth has a newly discovered companion. No, we’re not cheating on the Moon, and it’s been hanging around for a century. But we’re just finding out about it. On April 27, 2016, observers at the Pan-STARRS 1 asteroid survey telescope on Haleakala, Hawaii, part of the project to catalogue all near-earth objects in our solar system, discovered Asteroid 2016 HO3. It’s small—somewhere between 40 and 100 metres (120-300 feet; the exact size isn’t determined yet), and has an orbit around the sun that brings it between 38 times and 100 times the distance of the Moon—not very close, in other words. The distance of Asteroid 2016 HO3 from Earth is why it’s not a true satellite (moon), but a near-earth companion. It’s been orbiting around the sun for about a century, and Earth’s gravity is likely to keep it doing so for centuries to come. It isn’t a threat to earth. “In effect, this small asteroid is caught in a little dance with Earth,” according to Paul Chodas, manager of NASA's Center for Near-Earth Object (NEO) Studies at the Jet Propulsion Laboratory. And they’ve been “dancing” like this for nearly a century, but we’ve just found it. The reason it was found at all is because of the grossly underfunded cataloguing project of the “Planetary Defense Coordination Office” (yes, that’s a real thing). So, we know about it in large part because we realised it would be a good idea to know about asteroids in our own neighbourhood that might crash into earth one day. Serendipity, maybe. This isn’t the first time an asteroid like this has been found, though. Another asteroid, 2003 YN107, had a similar orbit for awhile about ten years ago, then pissed off. Maybe it didn't like the dance music in our solar system. But that means there could be more that scientists just haven't found yet. Science is fascinating, of course, and so are new discoveries. But it’s a little freaky to learn that Earth has had a companion since around World War One, and we never knew about it until around six weeks ago. Mostly, though, it’s just fascinating. There’s been a lot of online discussion in the days since the Orlando massacre, and, as we’d expect, that discussion has included both enlightenment and point-scoring, and sometimes exploitation. Which category we think a comment falls into is a function of our own attitudes, perceptions, values, etc. So, too, is how we choose to respond. There are plenty of outspoken people in the USA who have made very well-paid careers out of being professional adversaries of LGBT people. They spread disinformation, exaggeration, defamation, and outright fabrication to try and score points and victories. Very often, they’re successful. These are the people we see popping up in mainstream newsmedia reports on LGBT issues as the “balance” to the rational viewpoint expressed by someone supporting the civil and human rights of LGBT people. These are the people who pretend to condemn violence against LGBT, while blaming LGBT people themselves for their own deaths and injuries. And then there are the others: From the merely loopy to the seriously unhinged to folks willing to pretend to be one or both in order to gain attention, notoriety, and, of course, money. These are the folks who can be counted on to, as they have done, praise the Orlando shooting in some way, probably declaring that it should be repeated. The bigger question, though, is what should we do about the disgusting wannabes in the nether regions of the Internet or on rightwing radio? The folks who do all the same things the professional adversaries to, but add on levels of vile and disgusting bigotry along with outright incitement of violence against LGBT people. What’s the best way to respond? There is ALWAYS a decision to be made (and many arguments about it) over whether to call out evil or ignore it in the hope it will die, starved of oxygen. Those who say sunshine is the best disinfectant argue that challenging hate is the only way to stop it, while the other side says that doing so only adds oxygen to the fire. In my view, both are absolutely right, and both are dangerously wrong. The main points to consider, I think, are these: Does the response to the hate speech or action help it to spread more widely? And, if so, is it better, on balance, to challenge the hate speech or hope it dies unnoticed? In the case of the professional adversaries, it’s easier: Their words and actions are widely reported, so responding is unlikely to bring them any more attention than they’d otherwise have. Even so, I have a sort of rule that I don’t respond unless they say something in mass media, like a CNN interview, or a newspaper op ed, that sort of the thing. I don’t usually respond to things they say in their own media or on their own sites where they’re usually at their most provocative—probably in the hope of inciting an over-reaction among normal people (so they can use the over-reactions to help them raise more money). It’s the more fringey people who should give us pause. Many of them are pretty obscure, and most would never be known widely at all without the attention given to them by outraged normal people. And yet, unchallenged evil can eventually become evil triumphant, so perhaps it must be challenged so it can’t win. But, what if doing so helps it win? Yep, this is why there’s no easy answer, nor one single correct approach. I seldom talk about fringe types at all, and if I do it’s without ever mentioning them by name (what I often do with professional adversaries, too), nor where, specifically, the hatred was spread. If there’s a website involved, I never link to it, at best linking only to a mainstream site that links to the offending site (again, something I do with professional adversaries, too). This allows me to talk about the bad ideas without giving the person explicit search engine points, or their site any added traffic. This is my compromise. The issue for me is NEVER any specific bigot or hatemonger, unless they run for public office; instead, it’s their bad ideas I want to take on, and to challenge their bigotry. That’s what’s dangerous, not the person himself (because, after all, it’s almost always a male…). In this way, I can focus on the substance of what they did or said without giving the person any attention. As an added bonus, this is the ultimate in disrespect of the person doing or saying the awful things—it’s treating them as if they don’t exist. Most of the time, though, my response doesn’t even directly mention whatever incident/person I’m commenting on. Instead of talking about the latest absurd pronouncement of a hate radio host or a professional opponent of LGBT people, I’ll talk about their bad idea, why it’s bad, and what the better idea is. It’s true that some people won’t know what, specifically, led to my commentary, but putting better ideas “out there” is always the main point for me, not talking about why someone else is wrong or dangerous. There are always exceptions, of course. Up until this point, most of what I’ve been talking about has been blogging or things I share online. These are the things that I control. But what about stuff others share? Commenting on what other people post also invites the same debate: To help publicise or not? The vast majority of people who see a post on social media are “lurkers”, that is, people who see it and say nothing. Since something about the bigot has already been shared, the choice is whether these lurkers should see others’ silence, or people standing up to hatred, bigotry, and the promotion of evil. I don’t decide the same way every time, but when I respond it’s usually to make a larger point, to draw connections to larger issues, or to provide missing facts—unless I’m in a bad mood or otherwise pissed-off, in which case all bets are off. Being human is messy. Whether we choose to respond to expressions of prejudice and bigotry is a personal decision that can only be made by ourselves. We can express our feelings about others’ decisions, but we mustn’t condemn those who choose differently than we would—assuming, of course, that their response remains somewhere in the realm of legitimate discourse, that it isn’t as bad as what they’re condemning (no threats or incitement of violence, for example, either explicit or implied—and it’s sad that these days I have to say what should be bloody obvious!). I absolutely support the right of people to make their own decisions—to ignore outrageous bigotry completely or take it on by name. That’s their choice to make, not mine to make for them. At any particular moment, we can only do what we think is right, even if we’re wrong. Personally, I think it's awesome that people want to respond to outrageous acts or expressions of bigotry. I also think that it’s great that people struggle with how to choose to respond. This is why good people will always triumph over bad people. This post was inspired by a Facebook discussion I had with my friend Andy. We bloggers take inspiration wherever we find it! Today, the New Zealand Parliament passed a motion in sympathy with the victims of the Orlando shootings on behalf of all New Zealanders. They do this whenever a major tragedy happens in the world. I thought I’d share all the videos for anyone who wants to see the responses of the various political parties in the NZ Parliament, and I added my own comments after each video. All up, the videos are just under 19 minutes. The first video in the series, up top, is of the Prime Minister moving that the House consider a “Motion Without Notice”, which basically is any government motion that wasn’t previously announced, and typically this is done in times of tragedy, and the motion to consider is approved by simple voice vote, as this was. Then, someone from each of the parties in Parliament makes a statement on the motion itself, before the final motion is voted on. The Prime Minister did okay. However, today, outside of Parliament, he also seemed to deny the attack was anti-LGBT in nature, which puts his remarks in Parliament in a somewhat different light. The first reply video (the second in this post) is from the Leader of the Opposition, Andrew Little, Leader of the New Zealand Labour Party. This is my favourite of the speeches because he clearly gets what it’s all about. He said the right things in the right tone, and, most importantly, he kept the focus on the victims, which is important. The second reply is from Kevin Hague of the Green Party, the third-largest party in Parliament. Kevin Hague is one of the openly gay Members of Parliament. He offers a different perspective from Labour’s, and makes some good points. 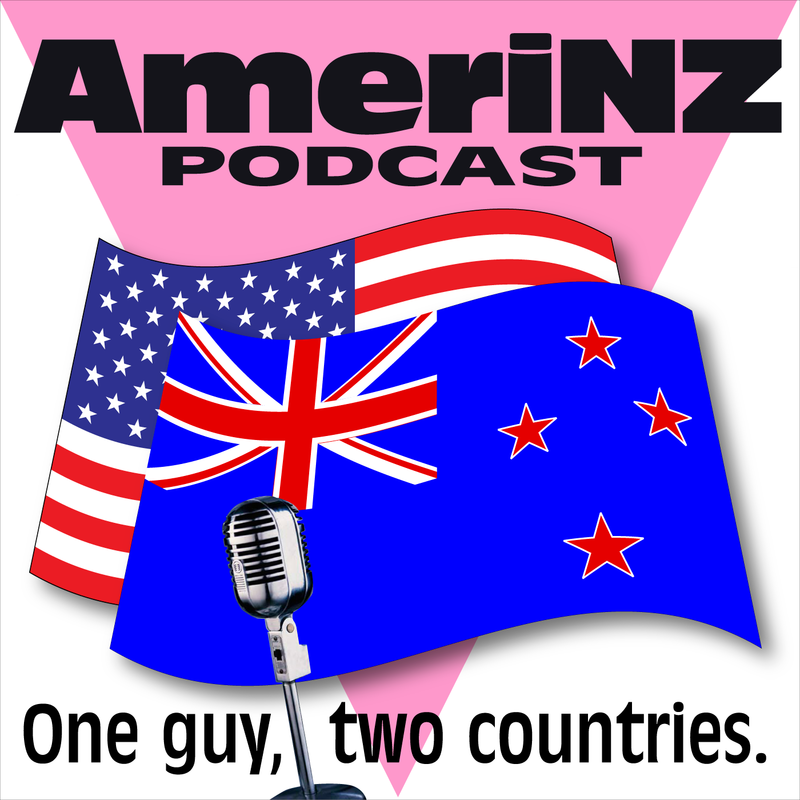 I thought putting it into a New Zealand context was a good contribution to the discussion. Next up is Winston Peters, the leader of the fourth-largest party, New Zealand First, a right-centre-right party. Winston is combative, argumentative, anti-immigrant, and xenophobic, and his party has usually opposed anything to do with LGBT rights. I really don’t care what he has to say, but his remarks were typical of him, and contributed nothing. Next is Te Ururoa Flavell, Co-Leader of the Māori Party, one of the National Party’s support parties in government. He spoke in Te Reo Māori, one of New Zealand’s three official languages. At the conclusion of his remarks, he was joined for a waiata, a traditional Māori response. I can’t comment on his remarks because I don’t speak Te Reo. The fifth response is from Peter Dunne, a one-person party in Parliament. He has been in coalition with Labour in the past, but joined National in government after the 2008 elections. He made a basically decent sort of speech, and I think he meant well, even if some of his phrasing was clumsy (using the phrase “moral judgement” was extremely ill-advised). The final response is from David Seymour, the one-person MP from the Act Party, a rightwing party supporting the government, and is only in Parliament at all because the National Party did a deal with them so Seymour could win the seat. I often strongly disagree with Seymour, and I’d never vote for his “party”, but I think he did a good job on this speech, not the first time I’ve thought that—but always about things other than government policy. This final video also has the voice vote that approved the motion of sympathy. These sorts of resolutions are meant sincerely, even if some party leaders/speakers try to make it all about them. The MPs know full well that the people in the affected country will probably never even know about such resolutions, but the point is that the NZ Parliament, on behalf of all New Zealanders, stands in solidarity with the people affected, in this case, the victims and survivors of tragedy. I think that’s worth something, even if it changes nothing or accomplishes little. It’s the right thing to do. Today, as Americans, we grieve the brutal murder -- a horrific massacre -- of dozens of innocent people. We pray for their families, who are grasping for answers with broken hearts. We stand with the people of Orlando, who have endured a terrible attack on their city. Although it’s still early in the investigation, we know enough to say that this was an act of terror and an act of hate. And as Americans, we are united in grief, in outrage, and in resolve to defend our people. President Obama has ordered US flags to be flown at half-staff to honour the victims of the attack in Orlando. The video above was posted today to Hillary Clinton’s YouTube Channel. I thought it was pretty classy. What do you think? Today Senator Bernie Sanders met with President Obama and pledged to work as hard as he can to make sure that Donald never becomes US President (video above). That’s exactly what I wanted to hear, and that should be that. I’m aware that some are calling on Sanders to formally quit the race, but why should he?! He promised to give everyone a chance to vote, and if he withdrew now, he’d be breaking that promise. He knows as well as anyone that the results in Washington, DC next week won’t make the slightest bit of difference to who becomes the Democratic Party’s presidential nominee, but that’s beside the point: Principle matters, and so does his promise. I applaud that, not the least because that’s so rare in politics. Sanders is in a unique position to help remake the Democratic Party into a progressive party that will stand in sharp contrast to the Republicans—their exact opposite, in many ways. And in doing so, he can help Democrats hold the White House and retake Congress (or, at least, the US Senate, if not the US House, too, since that’s a much bigger challenge). By his pledge today, I have no doubt he’ll help do that. What the primary season demonstrated pretty clearly is that a large number of Americans want a change from the way things have always been done, and they’re right: Change IS needed. But the change offered by Donald is illusory and would, in fact, make things far worse. The Democrats, on the other hand, strengthened by the work of Sanders, can offer REAL change for the benefit of the majority of Americans, not the 1%. Sanders pushed and pulled Hillary Clinton leftward, and for that we should all be grateful. If Democrats retake Congress, she won’t waste any time acting on the agenda of change, and the likelihood of that happening will be strengthened by Sanders’ support and help. So, today was a good news day for the November election. Sanders did exactly what he needed to do, and I think it was great. Now, let’s all work together to win this. There’s been a bit of weird commenting online expressing doubt about Hillary Clinton’s support for the LGBT communities. It’s odd partly because she brings it up—unprompted—so often, but it’s also odd because what matters is where she’s at now. I think some people are setting an unreasonably high bar on this issue. Let’s go to the historic record: in 2000, Hillary Clinton endorsed civil unions, such as Vermont had just enacted. In 2006, Bernie Sanders, a supporter of his state’s civil unions, opposed Vermont moving toward full marriage equality. That same year, Clinton was expressing support for her state, New York, enacting marriage equality, and she added that her own views had “certainly evolved”. The point of the history lesson is that President Obama, Hillary Clinton AND Bernie Sanders all "evolved" on marriage equality and LGBT advocacy. But the point ISN'T who was first on LGBT issues or support, it's that they evolved. I became an LGBT activist around 35 years ago, and back then it was impossible to imagine that ANY national politician would EVER advocate for LGBT people. Yet we kept pushing for them to do so, and, decades later, look where we are! If for decades we've been pushing for politicians to embrace the LGBT communities and our issues, then we ought to celebrate politicians' evolution and not make a dismissive rankings list based on who supported marriage equality/LGBT issues first/earliest. What truly matters here is that Obama, Clinton, and Sanders all evolved and now fully embrace the LGBT communities, while the Republicans have, if anything, pushed us ever farther away. Sure, there was a time in the past when Democrats were mostly no better than Republicans of the day, but those days are NOT these days, and it hasn’t been those days for at least a decade, nearly two. To paraphrase one of my favourite Maya Angelou quotes: When they knew better, they did better—and ALL the Democrats do better than nearly ANY of the Republicans, end of story. So, I absolutely trust Hillary Clinton to advocate for LGBT people, and if Bernie Sanders had been able to win the Democratic nomination, I’d absolutely have trusted him, too. The problem is not with Democrats, it’s with Republicans, and it is they who are our fiercest opponents and adversaries. It’s important to always remember that fact. This post began as a social media comment, but has been extensively expanded from that original version. The video above was played right before Hillary Clinton delivered her speech tonight. I saw it on CNN, but there were some audio-visual issues and didn’t get to see it properly. I think it’s worth watching. The video itself is well made, like many of the best of ones made for Democrats. The specific intent is to place the events of today in its historic context, but it also touches on many Democratic Party values. In her speech tonight, Hillary focused mainly on values, what she represents and how dramatically that contrasts with the politics of fear and bigotry promoted by Donald. It’s important to do that, I think, to draw the clear distinction, since so many Americans claim they can’t see it. I also watched Bernie’s speech, and I was agreeing with pretty much everything he was saying, of course. He was absolutely right to point out that real change comes from the ground up, not the other way around. The extreme rightwing took control of the Republican Party by starting at the bottom—school boards, county boards, state legislatures and on up to Congress, something TV preacher Pat Robertson urged them to do after he lost the 1988 Republican presidential nomination. If Bernie can lead his supporters in that progressive effort, then it will have a far more profound affect on the USA’s politics than winning the White House ever could have done. I checked Facebook a couple times in the evening, and I saw a lot of angry words from Bernie’s supporters. I get that. I’ve lost a lot of elections, so I know what that feels like. No one should tell them what to feel, how they should act, or even what they should do next. There’s plenty of time for that—though I hope most of them will commit to the grassroots change Bernie championed, and obviously I hope they’ll help defeat Donald. But, all in good time. I also was watching the New York Times' live updates of the California results, and I noticed that Hillary’s lead over Bernie really didn’t change all night. Because of that, I was ready to project her the winner once they crossed 75% counted, especially because most of the incomplete counties were ones in which she had a massive lead. But, no one called it until around 90% was counted; now, I kinda wish I had—it would have established my pundit bonafides. (I console myself—barely—with the fact I was the first of my Facebook friends to share the news). It’s important to note where we are: Hillary ended up with 380 pledged delegates more than Bernie, whereas Obama had only 102 more than her in 2008. She also ended up with 3.68 million more votes than Sanders, unlike 2008 where she had 300,000 more than Obama. So, she’s more successful than Barack Obama was in 2008, which is no small thing. Neither is being the first woman to be the presumptive presidential nominee of a major party. Next, we must defeat Donald. No doubt about that or any equivocation. We must also continue to push for progressive change. Bernie has pushed Hillary on that, making her more progressive, and we need to thank him for that. But now, we need to deliver the White House and US Senate so those progressive ideas can become reality. Has Hillary just won the nomination? Today the Associated Press caused a stir when they reported, “Clinton has delegates to win Democratic nomination”. Were they right, or did they jump the gun? No. Hillary now has the support of 2383 delegates, both elected and superdelagates; 2382 are needed to win the Democratic Nomination. Bernie Sanders has a total of 1569 delegates, again, including both elected and superdelegates. In that sense, AP was just stating a fact, something that NBC News later echoed. This same line has been picked up by Bernie’s supporters, but there’s a problem with it: NO delegate votes before the convention, but most of them are nevertheless pledged to vote for a candidate. It’s a little silly to argue that the pledge of one delegate matters, but the pledge of another doesn’t. However, as Vox put it, “Clinton is almost certainly going to win with the pledged delegate count anyway, so why does it matter if she's declared the victor now with the superdelegates who support her or later?” The reality is that Hillary will be adding to her delegate total over the next two weeks, and very likely will, as Vox suggests, have more than 2382 elected delegates (Related: "In '08, Sanders Endorsed Obama - Before Clinton Formally Exited Race"). So, behind in the number of pledged delegates, Bernie’s hope is that he can peel off some of Hillary’s superdelegates—but, historically, that seems unlikely. In fact, AP has been polling superdelegates for months and they’re not budging (and only about 95 are uncommitted). For Bernie’s strategy to work, it would mean asking superdelegates to ignore the fact that Hillary has received 3 million more votes than Bernie has. That’s a big ask of Democratic party leaders and elected officials who make up the majority of superdelegates. Bernie also won’t convince them by touting polls showing he’d supposedly do better than Hillary against Donald. That ignores the fact all the national polls have Hillary beating Donald. Worse, it ignores the fact that Bernie hasn’t yet been victimised by the Republican Attack Machine as Hillary has been for decades. Were Bernie to become the nominee, all that would change and his poll rating would plummet so that, in the end, he’d be in no better a position than Hillary—maybe even worse, because everyone’s heard all the Republican talking points about Hillary, but they haven’t heard the lies, smears, and innuendo that Republicans would use against Bernie. But Bernie’s supporters are also hoping for a massive landslide tomorrow—forgetting (or perhaps unaware) that delegates are awarded proportionally, not “winner takes all”. In the race so far, even in the states Bernie has won Hillary has also won delegates—often nearly as many as he has. This will happen tomorrow, too, no matter how well he does. At no point in the entire campaign did Bernie ever win by a wide enough margin to track toward winning the nomination, and he won’t tomorrow. That’s just arithmetic. So, having crossed the line, Hillary Clinton is now clearly the presumptive nominee of the Democratic Party. The results tomorrow will expand her delegate lead, not swing them the other way; at best, saying otherwise is wishful thinking. One thing’s certain, though: The general election campaign will be ugly, precisely because Donald is the Republican nominee. To beat him, Democrats will have to find a way to re-unite, and that’s the main task facing the party now. There’s too much riding on this election to fail. 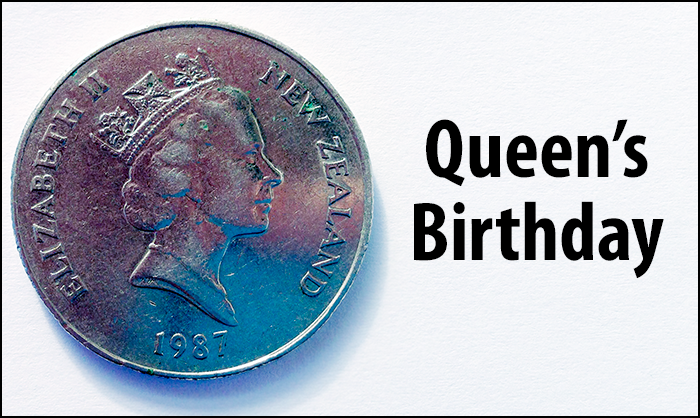 Today is the Queen’s Birthday pubic holiday in New Zealand, which is notable for two things. First, it’s the last public holiday until the end of October—a very, very long stretch without a public holiday. Second, there’s the Queen’s Birthday Honours List, and this year it showed why New Zealand is different from many other countries. The New Zealand government honours citizens twice a year, at New Year’s and again now. Whoever is leading government tends to acknowledge those most aligned with their party—Labour honours academics, unionists, and those working to better their communities, while National tends to honour business people, sports people, and some people working to better their communities. It’s the latter category in particular that’s the most interesting, and not just because both major parties extend awards to people in that area. It’s also because most of the recipients are people who we might not hear about otherwise, people working away often with little or no acknowledgement or thanks to make this a better country. This year, two people stood out for me, both because they were worthy, but also because such people tend to go completely unacknowledged in my homeland. First up is Lexie Matheson, who was made an Officer of the New Zealand Order of Merit for services to performing arts, education and LGBTIQ rights. She has a remarkable story, and her lived experience underscores why specific trans protections are required in New Zealand’s human rights legislation. The other is Cissy Rock, who was made a Member of the New Zealand Order of Merit for services to the gay, lesbian, bisexual, transgender and intersex communities. She has been a tireless worker to make society better, and I know many people who speak highly of her. Both Lexie and Cissy are part of Auckland Council’s Rainbow advisory panel, to help elected members better understand and meet the needs of Auckland LGBTQI communities, so they’re actively involved in making Auckland better. There are those who might think it odd that a conservative government would honour LGBTQI individuals, but they wouldn’t be people who know New Zealand very well. There are deep and profound differences between the left bloc and right bloc in New Zealand politics, but respect for diversity is a given—even if priorities and agendas vary. 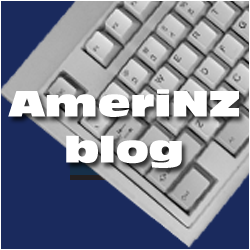 And that’s one of the things that I love about New Zealand: We can fight hammer and tongs over public policy—what we should do and when we should do it, for example—but when it comes to recognising unsung heroes for all they do to make ours a better society, we put aside our partisan differences. Which is not to suggest that there aren’t bigoted people in New Zealand—of course there are! But here, at least, no one panders to the worst among us. Instead, we all try and pull in more or less the same direction, and sometimes we even succeed. I haven’t heard of most of the honourees on this year’s Queen’s Birthday Honours List, but that’s kind of the point: We honour those who get little thanks. Sure, sometimes I, too, may not be too sure of some of the choices, but, on balance, I’m just glad that we do this at all. “Thanks” is such an easy word to say, but apparently the hardest, too. I’m glad we have a mechanism through which the government of the day can extend the thanks of us all. 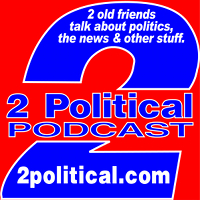 Episode 120 of the 2Political Podcast is now available from the podcast website. There, you can listen, download or subscribe to the podcast, or leave comments on the episode. The five most recent episodes are also listed with links in the right sidebar of this blog. Today, Bella decided to help. She removed cobwebs and a few leaves from udner the spa pool and then allowed me to wipe them from her, which was very thoughtful, indeed. It was a perfectly ordinary day, really. We ran an errand late in the morning and decided to have an early lunch/brunch kind of thing. On the way home, Nigel decided to stop in the pool shop to see if he could buy a submersible pump, but they didn’t sell them. 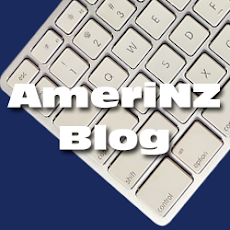 So, they lent him theirs to use for free (like I keep saying, things are different in NZ…). Nigel used the pump to remove the last of the water in the pool so he can take out the blown light and repair the slight leak. We finished that task, and then he removed one of the side panels to look underneath to see how to get the blown light out. And this is where Bella comes in—literally. 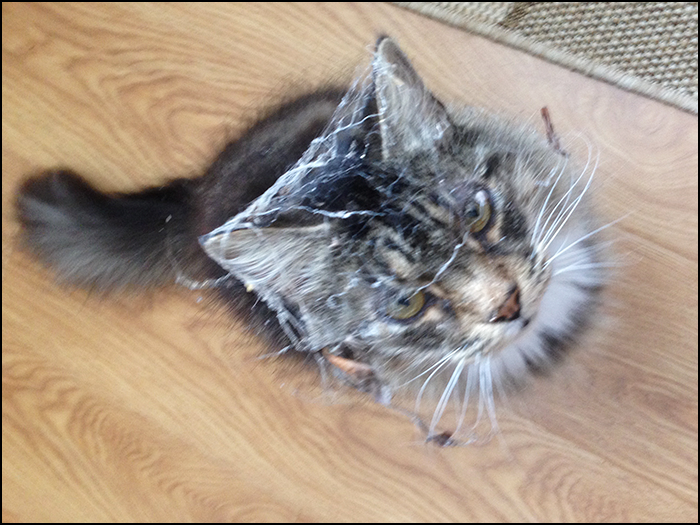 She went underneath to help inspect, and then decided to remove some of the cobwebs and a few of the leaves. Nigel was done, and ready to put the panel back, but Bella was taking a long time. So, I went into the house and rattled her treats tin and she came running. Because I’d riled her up with the promise of treats, she wasn’t her usual willing model self, and kept moving. The photos above and below were the best I could get. They convey the general look she was sporting, though. A quick wipe of a paper towel and her outfit was gone. Her treat was duly provided and she was happy—but not done being helpful. I went back outside to sweep up the leaves on the deck, something I’ve been unable to do with the pretty much daily rainstorms over the past several weeks. Bella kept inspecting the piles I was making to ensure they were alright. She also decided to climb a couple trees, just to make sure they were secure, of course. She startled Jake at one point, which he didn’t appreciate and told her so. She just looked at him like he was crazy. Unaccustomed as I am to manual labour, I sat down to rest after the de-leafing, and Bella hopped into my lap for a purr and snooze. The dogs, meanwhile, lay on the floor nearby. And that was my perfectly ordinary day with my helper, Bella. Episode 119 of the 2Political Podcast is now available from the podcast website. There, you can listen, download or subscribe to the podcast, or leave comments on the episode. The five most recent episodes are also listed with links in the right sidebar of this blog. This episode was recorded in late April, but it was one of our “& other stuff” episodes, not about topical political issues—or any politics, really. We do that sometimes. Also, two older episodes that I never finished editing in a timely manner are also available on the site in a post called “The Lost Episodes”, with a tongue-in-cheek description. But if you ever wondered what happened to episodes 116 and 117, this is where they ended up. I felt a shudder down my spine yesterday watching Donald Trump's fusilade against the press. This is not a moment to be trifled with. It wasn't his first tirade and it won't be his last. I was reminded of my college journalism professor, the late Hugh Cunningham, who would exhort his young charges in a thundering voice to "never let them scare you." It was his most important lesson. One of Edward R. Murrow's favorite words was "steady." That also bears repeating today. I know what it is like to sit in those seats and feel the scorn and even wrath of politicians of all political persuasions. Attacking the press for unfair coverage has long been a bipartisan pursuit. Sometimes it works. I am happy to say that more often it doesn't. But Trump's brand of vituperation is particularly personal and vicious. It carries with it the drumbeats of threatening violence. It cannot be left unanswered. This is not about politics or policy. It's about protecting our most cherished principles. The relationship between the press and the powerful they cover is by its very definition confrontational. That is how the Founding Fathers envisioned it, with noble clauses of protection enshrined in our Constitution. Good journalism—the kind that matters—requires reporters who won't back up, back down, back away or turn around when faced with efforts to intimidate them. It also requires owners and other bosses with guts, who stand by and for their reporters when the heat is on. I still believe the pen is mightier than the sword. And in these conflicted and troubled times, we should reward the bravery of the men and women not afraid to ask the hard questions of everyone in power. Our nation's future depends on it. Drumpf lashes out whenever journalists dare to question his bombasts, exaggerations, and outright lies. We should expect the sort of attacks on the media that we saw Drumpf make the other day. But what we must also have are fearless journalists who will stand up to Drumpf’s bullying to tell the truth. I hope we get that. Not every story in this Tooth Tales series is a big one or complicated, but even the small ones form part of the larger story. This is one of them. Today I went to the periodontist for the second of two treatments. It was far more involved than I expected, and I think he may have done more work than he originally planned. Even so, I had no real pain, apart from a couple brief, small jolts on two teeth when he first began (one of them being that troublesome front tooth that’s dropped). When he was done, he said it’s all looking really good, which is encouraging—especially because after the check-up I’d felt quite discouraged. The appointment began a little early (!) and ended a bit early, too, both of which were nice, but it also cost more than the last treatment, which wasn’t nice. However, my next check-up is in six months, not the five months it’s been, and that’s a sign of improvement. I’ll also be seeing the hygienist in four months, which may sound quick, but it I last saw her in January, with these treatments some four months later. This time, I’ll see the periodontist two months after the hygienist, which has got to be a good thing. I guess I’ll know for sure in a half year’s time. Now I can schedule an appointment with the orthodontist for the new mould of my bottom teeth, which is where the story detoured one month ago today. I haven’t scheduled the appointment yet, but late June or July would work best for me, I think. 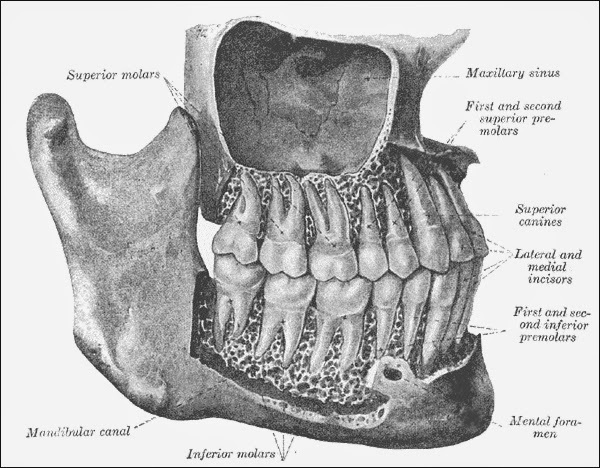 And so, the next Tooth Tale will probably be after I’ve been to the orthodontist, whenever that is. And the story should be back on track again. Today’s story isn’t the biggest or most important of the stories in this series, but it’s still a step in the process. There will probably be a few other small stories over the next year and half or so, but I’m hoping that those won’t be detours. Today is the first day of winter. Yippee. It certainly felt like winter today: It was quite cold this morning, it rained off and on all day, and just as it was getting dark, we had torrential downpours of rain, complete with hail. And winter’s just getting started. 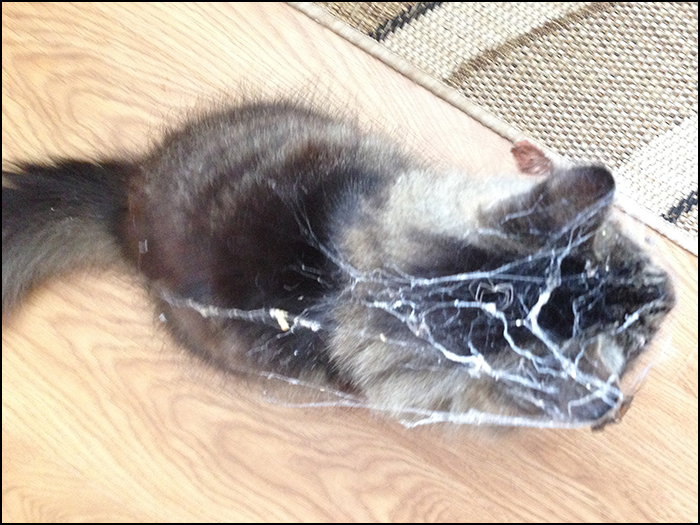 We had a mild autumn at the start (more like an extended summer, really), and, among other things, that led to more kittens being born and more cockroaches scurrying about; something about the warmer weather confusing them. On the other hand, fewer Kiwis died this autumn—in fact, the lowest in 25 years. But now winter is really here, and we’re stuck with it for at least three months (sometimes a bit longer). This is not my favourite season, of course, so I’ll have to go looking for interesting and positive things to blog about, things to make up for it being the icky season. Wish me luck. Speaking of blogging, I had a much better month last month: I was just one post short of meeting the one post per day goal for the month, though I’m still not making the annual average, as I wrote about at the start of last month. Still, there are still seven months to go—plenty of time to catch up (and two posts today help that goal…). Maybe tomorrow will bring some things to talk about, maybe not. But at least it’s supposed to be sunny. President Obama today proclaimed “Lesbian, Gay, Bisexual, and Transgender Pride Month, 2016”, something he’s done every year since becoming president. Sure, it’s symbolic, but it also matters. While proclamations like this are symbolic, it’s foolish to think that symbolism doesn’t matter. I still remember the early 1980s, and the excitement of seeing a politician, major corporation, or famous person openly supporting the LGBT communities at a time when very few did. Over time, the example of these early supporters helped others be open in their support, and also ordinary people, too, so that, over time, we arrived at where we are today. President Obama has been the best president on LGBT issues in US history, and he’ll be a tough act to follow. Despite a slow start, his administration has been outstanding both in the USA and overseas. Hillary Clinton, as Secretary of State, declared that “gay rights are human rights, and human rights are gay rights,” something I certainly never expected to hear a US Government official say. The text can also be seen on the The White House website. Update: So, President Obama issued a proclamation for LGBT Pride Month, something he's done for EIGHT years, and—right on cue!—extremist conservatives freak out. We expect that. We expect them to lie and distort, too, and we expect them to use offensive language, because it’s what they always do. But to be so utterly clueless that he's done this for EIGHT years is pretty appalling, and means that the haters have to be told to hate because otherwise they’d be utterly clueless. Just like they always are.